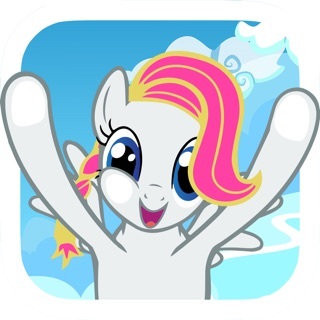 Create your very own personalized pony characters! 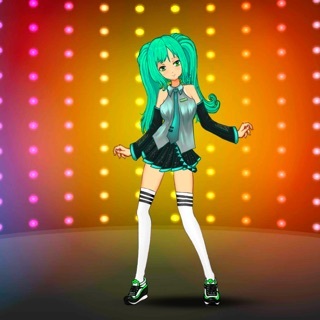 The Pony Creator allows you to customize your pony's body shape, hair, colors, and more, down to facial expression and pose. 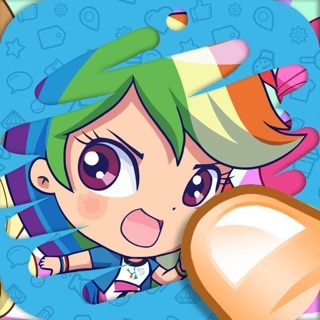 Save your ponies for easy editing, or export images directly from the game to share with your friends. 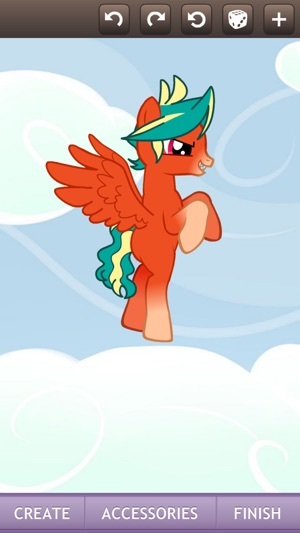 And if you're feeling bored, generating a random pony is always good for a laugh! 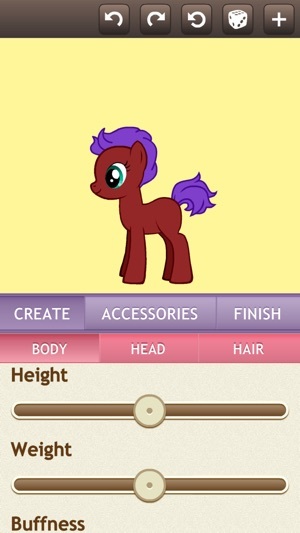 - Fully customizable height, weight, and buffness for the pony's body. - Over 70 completely original manes and tails. - 50+ tattoos to give your pony some personality. - An easy to use interface that lets you preview all options in the game. - Full 16-bit color--over 16.7 million color choices! - Over 100 unique accessories including hats, neckties, jewelry, and more! - Advanced posing options. Turn your pony's head and flip the body to make it look wherever you want it to. 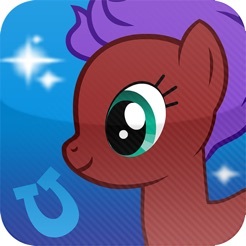 The Pony Creator app is also compatible with the online game. 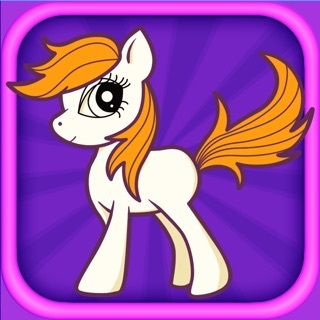 If you've played the online game, import your ponies into the app using your ponycodes*. 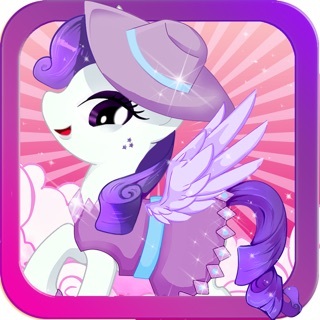 * Due to differences in content between the app and the online game, the app may not be able to completely recreate your pony. However, it will recreate as much as possible and inform you of any problems. - Fixed minor problems with color selection. - Fixed "Copy Ponycode to Clipboard" button. You can't find anything else like it! This one is awesome!! 5 STAR!!! it is so worth the 0.99 cents! -fourth I think there should be a ponyville back round and other locations in ponyville, such as: sugar cube corner, raritys place, fluttershys cottage, the front of the everfree forest, and twilight saga castle or AT LEAST her library. And maybe make a game mode in the settings where you can move your pony around by controls and almost be your pony and walk around and be your other ponies and have them have a name! OTHER THAN MY OTHER PROBLEMS, MAYBE ADD MORE WINGS AND MAYBE EARRINGS? (Wheelchairs and crutches and props shouldn’t be too hard to make into the game right? 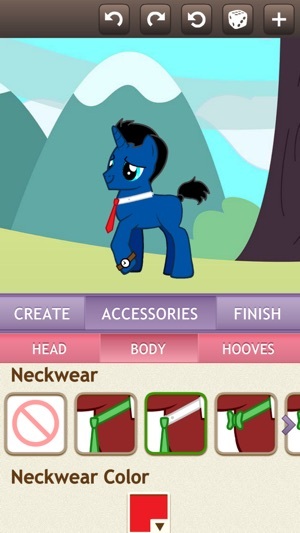 I've been looking for a pony creator on IOS forever! Sadly, I didn't search for it. 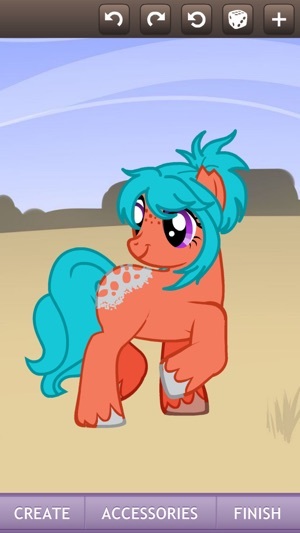 Then just today, I searched up Pony Creator, and there it was! I was so excited, and I had the right to be! This is an absolutely *AMAZING* APP! Almost just like the original! All in a bundled up package for only $0.99! Yes, that's right, *ONLY* $0.99!!!!! It's outrageous! Such a low price for such a good app! 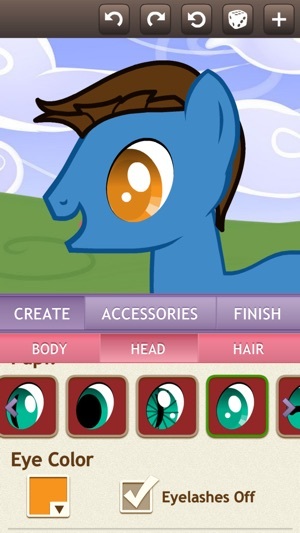 Just one suggestion though, please add more mane styles and such to the app, and it'll make it much better! 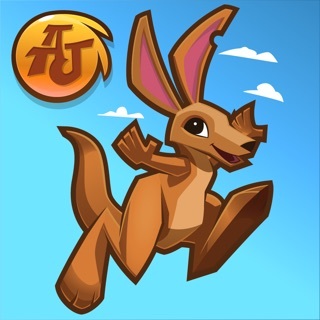 Please make an update like this, and I'll rate it five stars!